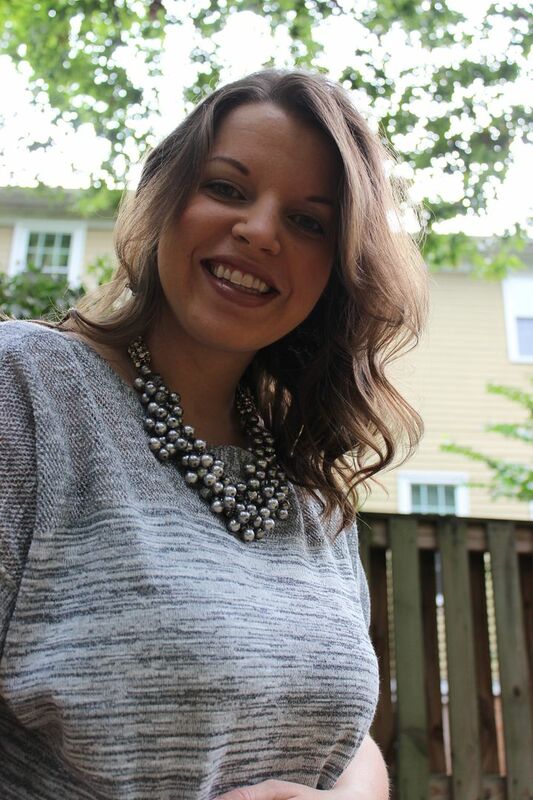 I’ve been on a monochromatic role lately and today’s post is no different – shades of grey. Something about wearing all one color, it just gives your look a more polished, classic feel. And I read somewhere that wearing all one color makes you look slimmer. Now, I’m not sure if I wore an entire outfit of bright yellow that I would look slimmer, but you never know, maybe I’ll try it. 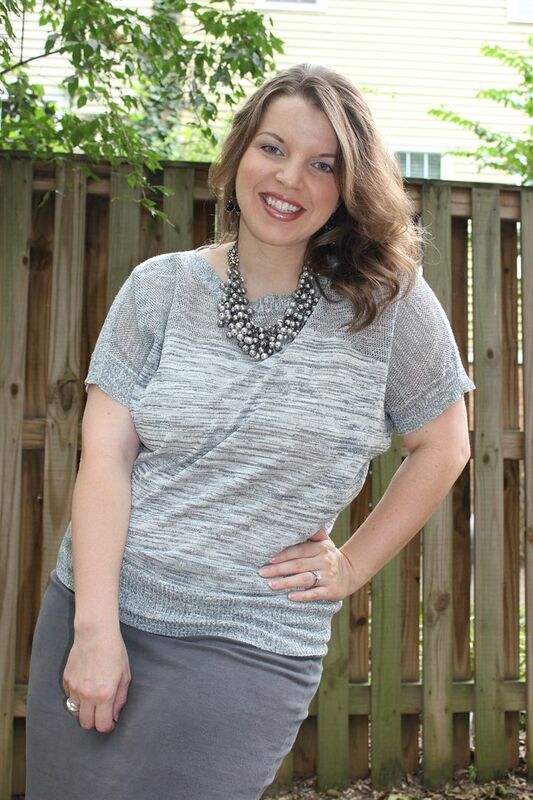 Skirt and Top: New York & Company. I really love an all grey outfit. Something sassy but classic at the same time. And love the sass you added with the heels....very cute! Love this outfit! Those heels are so great. love the colors- light and dark, perfect for fall! You look so beautiful! 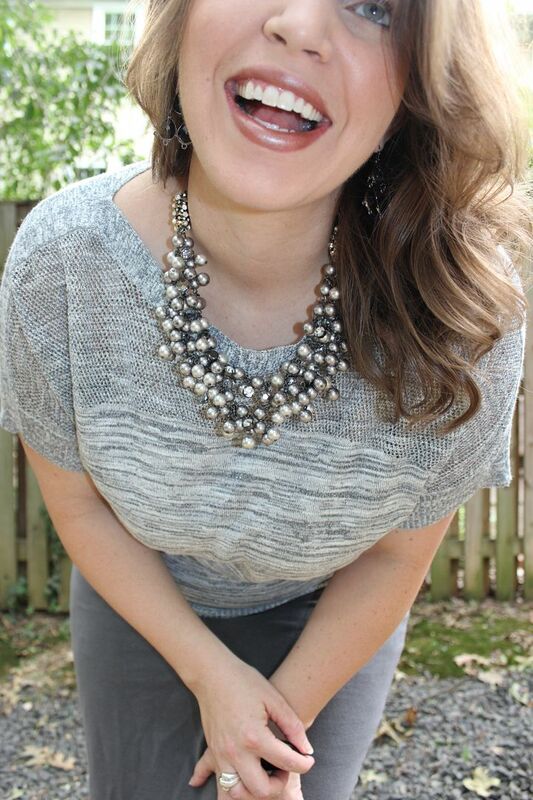 I love the combination of the chunky (gorgeous) necklace with the textured sweater top. Very classy! You are stunning, lady! That necklace is so gorgeous. I'm so impressed by your photo-taking skills! You look phenomenal!